A whirlwind of changes might be a set of ill-fitting words for the Hong Kong based pop rock quartet’s second full-length album but that doesn’t translate into necessary banality. The seasoned rockers of Helium3 have never been shy about the commercial pop sounds they’ve secured in their first album – Skindeep in 2009. Their debut effort, whilst undeniably packed with quite a bunch of radio-friendly, catchy tunes, clearly got severely hampered by this exact merit that it’s too “radio-friendly” that it’s obscuring one to seed real emotional attachment in the soundscape – something is just too right to be right. 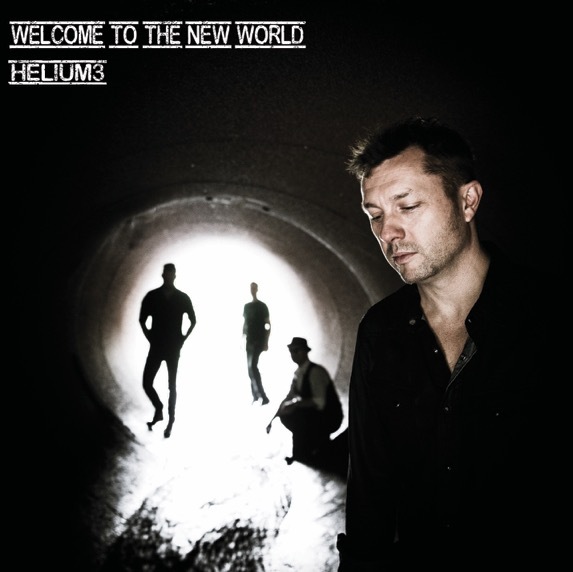 “Welcome to the new world” is also a confident return to their (maybe all too) familiar territory of pop rock but they do it with a hint of adventurousness this time. Those who thrilled to the band’s first attempt at the radio-pop sound will be more or less taken with the four-piece’s second attempt. Those who failed to seek genuine interests in the sonic world of Skindeep might be in for some delightful surprises as well. The top-notch production value of their latest creation unmistakably mirrors their dripping determination to grasping a firm foothold on the international pop rock scene. Admirable indeed but such fixture is never earned through a singular factor. Helium3 triumph in harnessing their keen affection for commercial success. They set out to make pop rock and they deliver it unapologetically. That self-affirmation conjures a somewhat luring spark in its earnestness in their newest sounds and I believe it was really what made the album grow on me. The title-track opener Welcome To The New World arrives as a spacious stadium rock anthem that brings slight reminiscence to the modern-day U2 seemingly spliced with the vocals of Michael Stipe. The following tracks Calling Out and Satellite in fact run an even deeper sonic depth with R.E.M. but real surprises lie right after these two tracks. Let me Invite U 2 Leave which possibly gives off the heaviest and rowdiest vibe on the whole album is claimed to give nods to the Zeppelin and Arctic Monkeys. The end result is that it sounds neither of them. With a sandily textured sound, the track draws a closer imitation to the sound of desert rock goliaths Queens of The Stone Age. We can join the dots though: After all, Arctic Monkeys collaborated with Josh Homme to get that jist of stoner rock for their junior album Humbug (the album that set tone for anything newly made by the Sheffield natives) and meanwhile, Homme worked with John Paul Jones in their supergroup Them Crooked Vultures. It also comes as no surprise that the accidental stoner’s imprints are particularly showing whenever falsetto is applied in the track. Such musical explorations outside the realm of pop rock prove to be a right move in this sophomore piece. A pop rock album ought not to shoulder the duty to craft and then chain solely poppish moments from start to finish. At the peak of hard rock, eruption of light, soft rock gets thrown back in the subsequent track City of a Million Lights, a heartfelt, uplifting piece enveloped with inescapable lightness and optimism. Best Bad Plan is an excellent title. Not only that, it’s honing a calm folky aura that you’d least expect from Helium3, judging from the monopolistic choice of pop rock from their previous works. And I absolutely adore this new side of them; the intricate oscillation between the melancholy and stealth with subtlety is manifested with high precision. Most of the follow-ups then trace themselves back to the mainstream, radio-friendly roots again. Super evidently features an upbeat catchiness but the lyrics are just not as affective – the words just don’t click. South Stand and Catch the Sunrise are made to play at big venues or festivals with a big crowd with the former channeling Foo Fighters and the latter sprouting a hybrid resonance to U2’s signature stadium rock with an estranged tinge of the Manchester-based trio Doves. The Longest Goodbye doesn’t pick on anything of novelty; it’s a solid, moving rock piece for sure but not exactly memorable – It has certain charms but has yet to be charismatically distinctive. Both two versions of Home dim in comparisons with their either more ebullient or sublime counterparts in the album. Both songs just do not morph into anything so spectacular that’d get themselves out of the pit of oblivion lamentably. First Movement is a delightful, soothing postlude (with Home reborn being a bonus track) to wrap up the album. Make no mistake though: this is still a band with a gripping intention to master the craft of pop-rock. While there ought to be no shame about their stance, Helium3 do shine brighter with a drop of diversity. In a nutshell, Welcome to the new world remains sonically conservative and as a whole, it might never grow on some of us but give it a go is all I’m saying. One last prominent observation that buds out of the vastly mainstream album would be their arena-rocking tunes frankly belong to big venues. Small ones just wouldn’t do them justice nor would it be musically-fitting.